THE HAGUE - The recent fraud with residency papers in Curaçao involving personnel of the local immigration service doesn’t mean that the persons who illegally obtained these documents also acquire a Dutch passport. Dutch caretaker Minister of Home Affairs and Kingdom Relations Ronald Plasterk stated this on Wednesday in response to written questions from Member of the Second Chamber of the Dutch Parliament André Bosman of the liberal democratic VVD party. Bosman had submitted questions following media reports late June this year that Curaçao Police had arrested the Head of the Admittance Organisation and one other employee on suspicions of a large-scale fraud with residency permits and applications for residency permits. The arrests were the result of an investigation of the National Detective Agency and anti-corruption team Team Bestrijding Ondermijning (TBO). The Member of Parliament (MP) asked the Minister to provide details on the fraud investigation and to also indicate whether this case could have resulted in the issuing of Dutch passports to “persons that didn’t have a right” to receive this document. 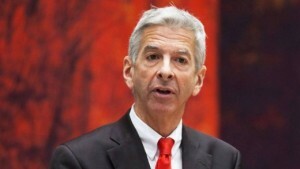 Plasterk stated that he didn’t have specific information on this case, except for what was stated in the media, but he did assure that the mere fact that the persons who received a residence title by Curaçao authorities on unjust grounds, didn’t mean that these persons would receive a Dutch passport. The Minister explained that a foreigner, after securing a residency permit, in principle can submit a naturalisation request after five years of legal residency. Aside from having a residency permit, there are also other conditions that a person has to comply with when filing a request to obtain the Dutch nationality. A foreigner residing in Curaçao files the naturalisation request at the Governor of Curaçao who forwards the request to the Dutch State Secretary of Security and Justice. The Netherlands Immigration and Naturalisation Agency IND assesses the request. The right to issue a Dutch passport comes after securing the Dutch nationality. Asked whether the Netherlands was involved in the further handling of the fraud case considering the implications for the Kingdom, Plasterk stated that the current criminal investigation was the authority of Country Curaçao and as such the Netherlands was not involved.